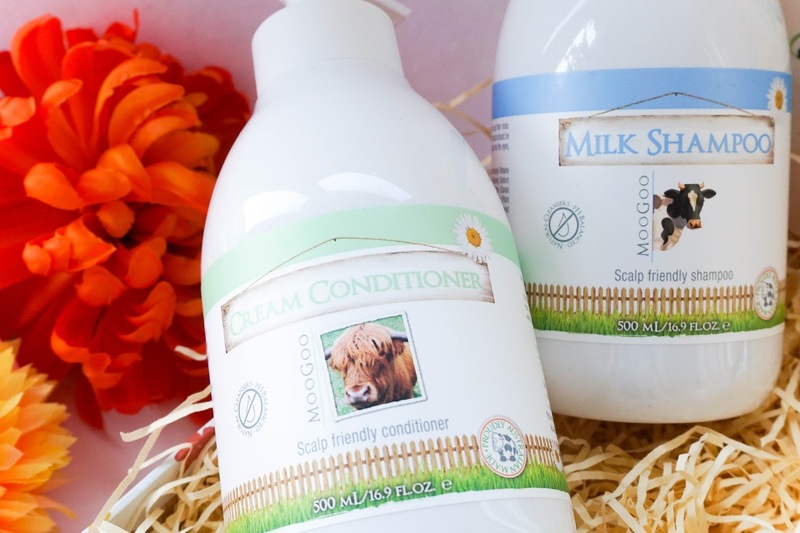 First up I had the MooGoo Milk Shampoo* & Cream Conditioner*, in very generous 500ml bottles with a pump which I love. From the first use I could smell a slightly sweet scent with a hint of coconut... it's not overpowering, in fact it's quite pleasant to use. This duo are recommended for scalp problems, aiming to treat itchy scalp issues, but it's also a great alternative if you just want to use natural & healthy products. I don't suffer with any kind of scalp issues but considering the creamy consistency, I was looking forward to soft hair as a result. Since the shampoo uses a combination of Coconut & Glucose based cleansers, it doesn't lather as easily but if you take a little bit of extra time working it through the hair, you should have no problems getting a good cleanse. The conditioner contains Jojoba Oil to leave hair moisturised and soft, not to mention that it's naturally less tangly too. I have to say I have really been enjoying using this duo for the past couple of weeks, as my hair looks & feels so much better. I find London water quite harsh, not to mention that my hair was already feeling pretty dry after adding more colour into it recently, so this duo keeps my hair feeling super soft. 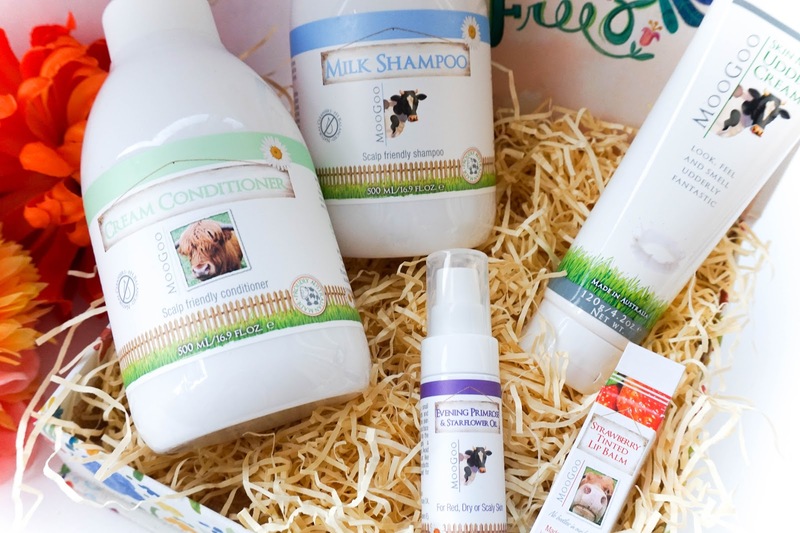 I also love that I can use these products on my daughter Ellie, without having to worry about any chemicals & toxins. 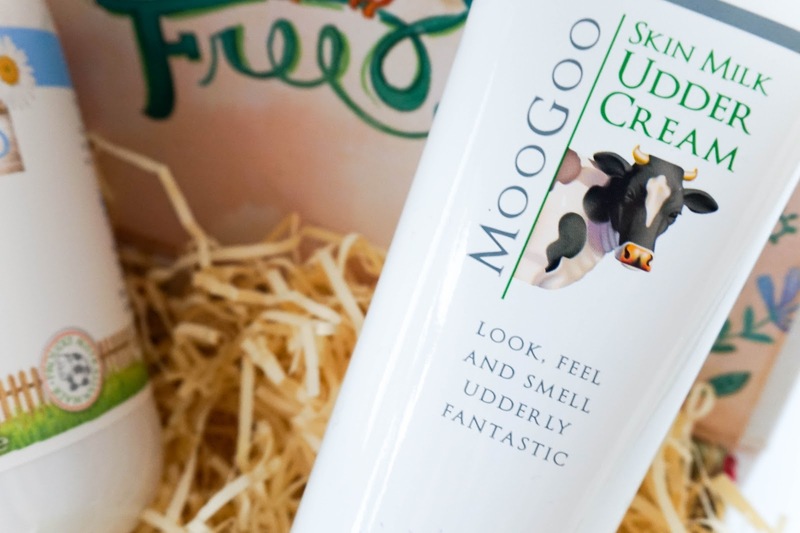 Now let's talk about the MooGoo Skin Milk Udder Cream*, which is the original cream that started it all. Straight away you get a sweet almond scent from the first application and I am definitely not complaining as I love this kind of scent (you could almost confuse it for a milkshake kind of scent). This cream feels very lightweight on the skin as it sinks in almost immediately, which is perfect to use on the body without having to wait around in your birthday suit, let's face it it's way too cold for that. Whilst it feels hydrating enough for me, I'm not sure if it would be enough for anyone that suffers with extremely dry skin, as it lacks that rich texture. I'm quite lazy with moisturising regularly so I'm mostly using it on my hands, feet, elbows and it's working well so far in keeping those areas well moisturised. Overall I'm impressed with how well it nourishes my skin and I personally have no complaints. Next I've got the MooGoo Evening Primrose & Starflower Oil*, which is probably my favourite product from the bunch (what can I say, I definitely have a soft spot for facial oils). This oil is recommended for dry, ageing skin so I have been loving it as part of my evening routine recently. The two main ingredients in this oil provide a high level of Gamma Linoleic Acid which is ideal for soothing skin, hence it's perfect for this time of year. I can't comment on the anti-ageing claims yet but my skin feels super soft & supple since using this as part of my skincare routine. I've actually noticed that I am applying less foundation these days and most of the time opting for a touch of concealer alone... which is proof that my skincare routine is agreeing with me at the moment. There is a very calming scent about this oil too, which I really enjoy as I massage it into my skin in the evenings. 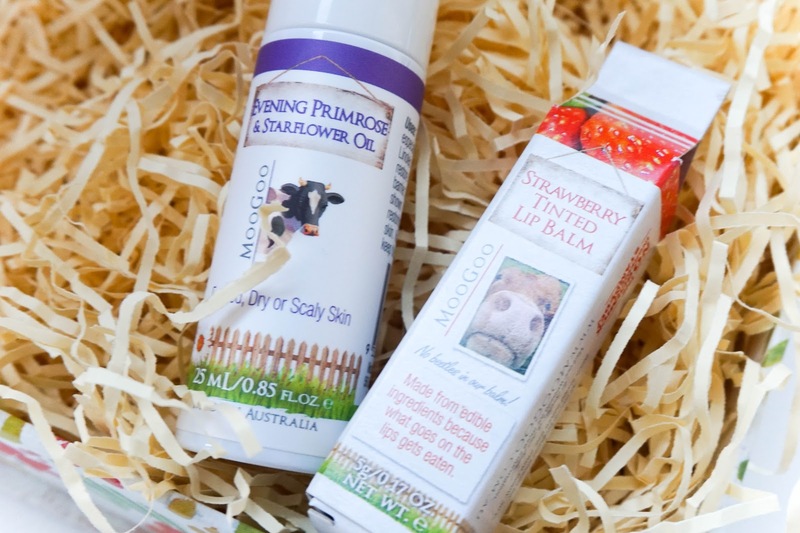 Lastly I've got the MooGoo Strawberry Tinted Lip Balm*, which is part of the brand's edible lip balm range. Now this lip balm smells good enough to eat and the good news is that you can lick your lips without having to worry about chemicals. The brand use Beetroot Extract for the natural tint of colour, along with Shea Butter and oils such as Sweet Almond & Jojoba for their moisturising properties. This lip balm won't do much for my lips if they are already super dry (I definitely need a richer texture for that), but it's perfect as a daily balm with a touch of colour to keep my lips from feeling dry in the first place. 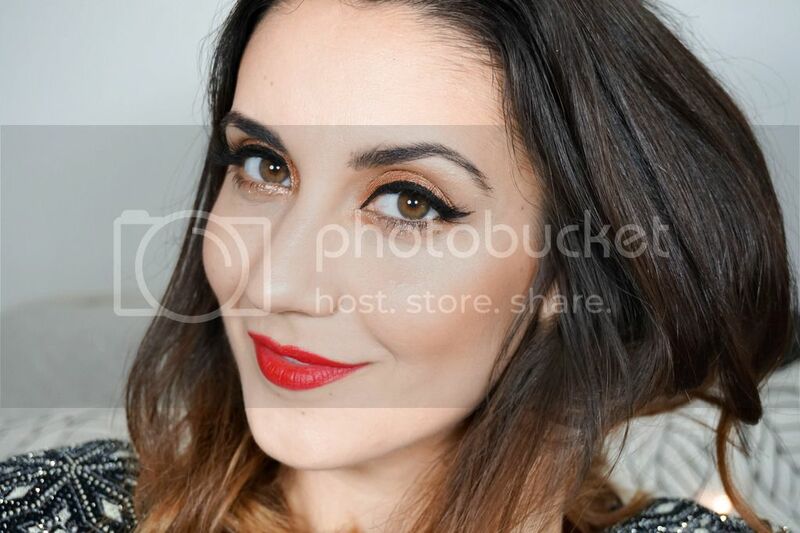 That brings me to the end of this review and I have to admit that it's been a pleasant experience trying out natural products and seeing that they are high competitors with high street brands in terms of their effectiveness. It's opened my eyes to see that natural doesn't have to mean boring and can still provide amazing results. 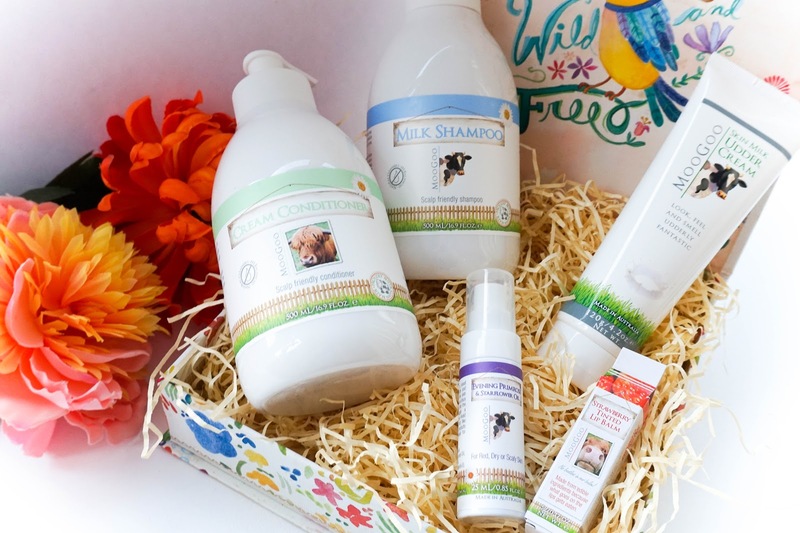 I'd love to hear your thoughts on MooGoo as a natural brand... have you tried any of their products before?